Story updated July 7, 2017. ORLANDO, Fla.—The rise of high-deductible health plans is driving one Missouri hospital to completely revamp patient registration, billing and collection. 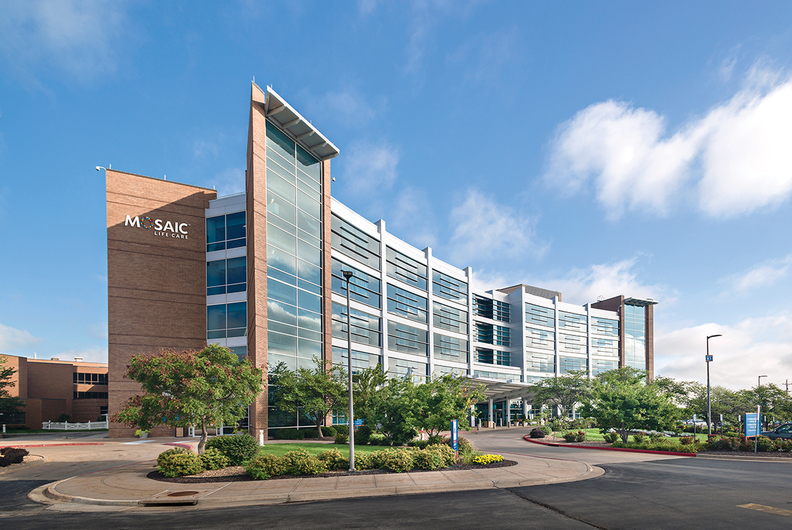 Mosaic Life Care, a 297-bed hospital in the town of St. Joseph north of Kansas City, is a perennial on Truven Health Analytics' annual 100 Top Hospitals list, which recognizes facilities for patient care, operational efficiency and financial stability. Yet last year, $23 million worth of self-pay patient care exposed deep flaws in the processes and technology the hospital used to log patient information, make insurance claims and approach patients for out-of-pocket costs, said Deborah Vancleave, Mosaic's vice president of revenue cycle. 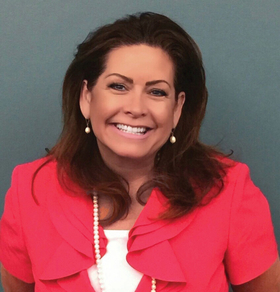 "We win all kinds of awards for patient quality, but our revenue cycle didn't match that performance," said Vancleave, who spoke on the sidelines of the annual national conference held last month by the Healthcare Financial Management Association. In the past five years, health insurers went from paying 90% of patient-care costs to only about 70%, and that's causing massive headaches for providers. Losses from self-pay patients have hospitals scrambling to better manage patient registration and bill collections. Vancleave said the stark reality of high-deductible healthcare—though on the radar of Mosaic executives last year—really hit home during the first four months of this year. The hospital, she said, stayed nearly full during that time, posting record census and gross revenue. But net revenue didn't budge an inch from the prior year period because patients weren't paying their growing share of the cost of care. Patients' self-pay total—the amount not covered by insurance—was up 9% over the four months, she said. That's put Vancleave on a quest for improvement. Just a month ago, Mosaic brought in ClearBalance to offer patients financing options for their out-of-pocket costs. ClearBalance and other healthcare financing companies such as HealthFirst Financial arrange loans with patients that hospitals typically customize. Often they include a no-interest option for 12 to 24 months but as long as 72 months depending on what hospitals require. ClearBalance, which has been making patient loans since 1992, has 150,000 patients on credit at any one time at scores of hospitals, CEO Bruce Haupt said. HealthFirst, whose customers include Trinity Health, has $71 million in patient loans at any one time at about 220 hospitals, physician offices and ambulatory surgery centers, said KaLynn Gates, the company's president. Vancleave said Mosaic enlisted ClearBalance to recover more of the out-of-pocket costs owed by patients and offer them a financing option. Vancleave, who joined Mosaic a year ago after years at revenue-cycle giant Conifer Health Solutions, said the small-town hospital had tried a previous payment plan for patients. But it could only collect 20% to 30% of what patients owed. That was because of the hassle of sending out monthly bills and the difficulty of employees trying to collect from their neighbors. Since outsourcing the job to ClearBalance, the hospital has already received a seven-figure check from ClearBalance for outstanding out-of-pocket bills, Vancleave said. Both ClearBalance and HealthFirst are "recourse" lenders, which means they pay the hospital upfront for the outstanding bills of patients who sign up for a loan. But the hospital guarantees the money and repays the lender if patients default on their credit lines. The finance companies make their profit by getting a 10% to 15% fee for the outstanding amount of the loan. Vancleave said the fee is worth the much higher rate of recovery that the hospital has gotten on out-of-pocket receivables. Hospital and vendor executives at the HFMA conference said the strains from high-deductible plans are ballooning. In​ 2016,​ for​ the​ first​ time, more than half of all workers (51%) with single coverage faced a deductible of at least $1,000, according to a study released last September by the Kaiser Family Foundation/Health Research & Educational Trust. Hospitals are struggling to collect the increased patient share of the cost, according to Crowe Revenue Cycle Analytics, a unit of accounting and consulting giant Crowe Horwath. Data derived from about 660 hospitals show overall managed-care net revenue has declined 2.5% for outpatients and 1.4% for inpatients based on unchanged contract rates over the past year. The cause was lower collection rates for "patient responsibility" dollars than for payer responsibility dollars. About five years ago, insurers paid about 90% of hospital claims, with patients responsible for about 10%, said Jase DuRard, chief revenue officer for revenue-cycle vendor AccuReg. Today, the mix is 70% by insurers and 30% patient out-of-pocket, he said. It's crucial in that environment to provide patients with as much information as possible upfront, before their procedures, said David Muhs, chief financial officer at Henry County Health Center in Mount Pleasant, Iowa. The 25-bed critical-access hospital uses RelayHealth revenue-cycle software from Change Healthcare to give patients a solid cost estimate of their out-of-pocket costs, often in a phone call before their care is even delivered, Muhs said. That transparency allows them to concentrate on their care or that of a loved one when it's time for treatment rather than hitting them with a big bill afterward, he said. Vancleave said Mosaic recently turned to AccuReg tools to button down the accuracy of information the hospital gets at registration and help the hospital determine whether individual patients can afford to pay for care, should be signed up for Medicaid, or should go straight to a charity write-off. She said pursuing collection from people who can't pay just causes them unnecessary angst and hurts the hospital's public perception and patient-satisfaction scores. Revenue cycle staff "are the first point of contact with a patient and the last point of contact," Vancleave said. "That's important to keep in mind."